Temperatures are dropping as winter sets in. For some that means the start of a joyful holiday, family gatherings, and seasonal treats. But for others, there's little comfort. 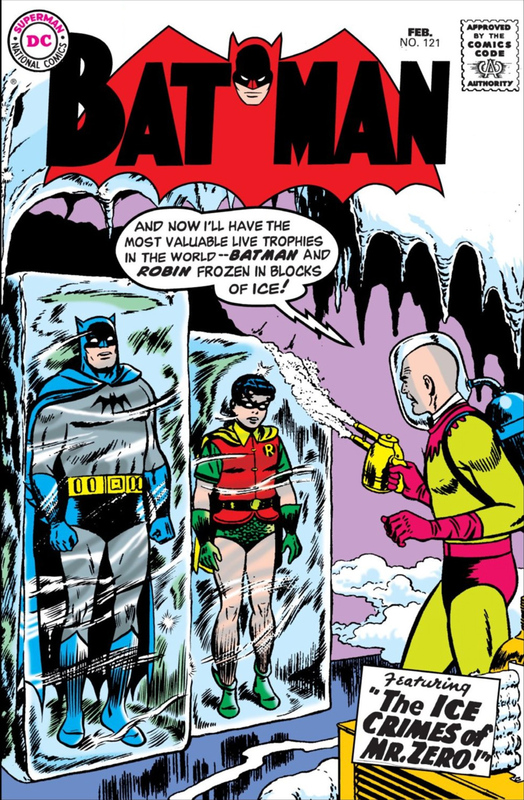 The residents of Gotham City have long since learned that, while the cold itself might be sometimes refreshing, ice and snow are often harbingers of doom. Mr. 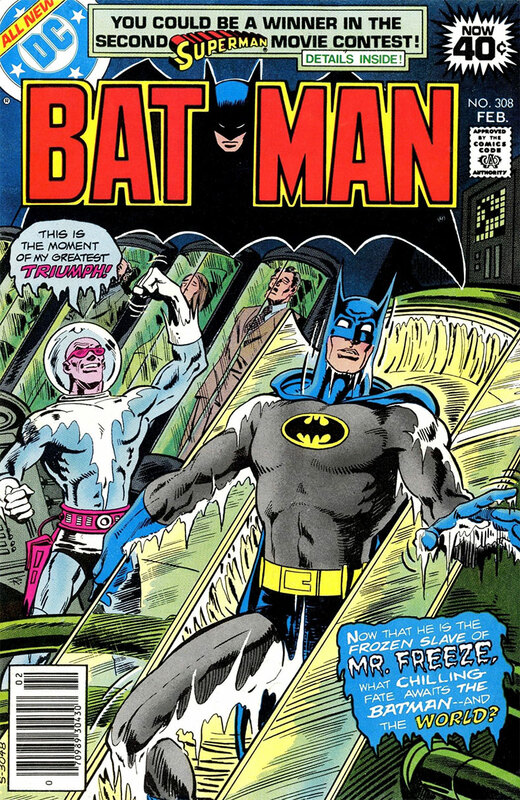 Freeze has been chilling the streets of Gotham for almost sixty years. But he hasn't always been the villain we know and love to hate today. In fact, in his earliest days, he wasn't even called Mr. Freeze at all, but was instead known as Mr. Zero, all the way back in 1959's Batman #121. 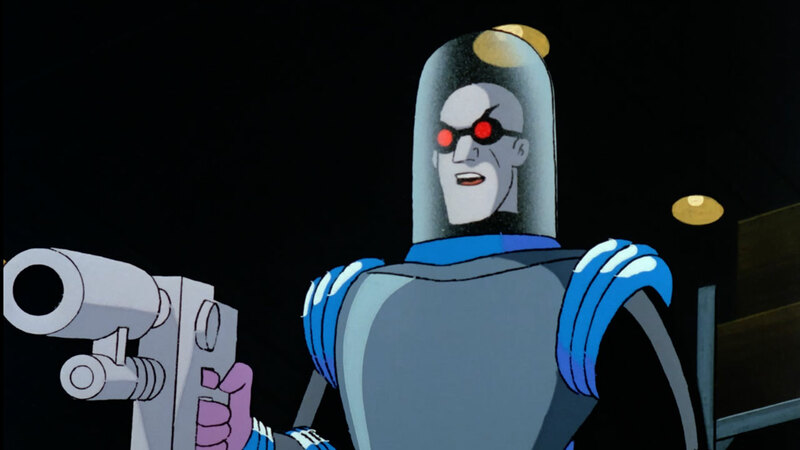 In Freeze's early days, his costumes were brightly colored and his schemes were usually motivated by greed, or revenge against the Caped Crusaders for contantly foiling his plans. In 1986, he swapped out what was typically a parka or spandex suit (featured in issues like Batman #308, which you can read here) for a more robotic and metallic look in 1986. It wasn't until the early 1990s that Freeze was actually revamped into the character he is today. 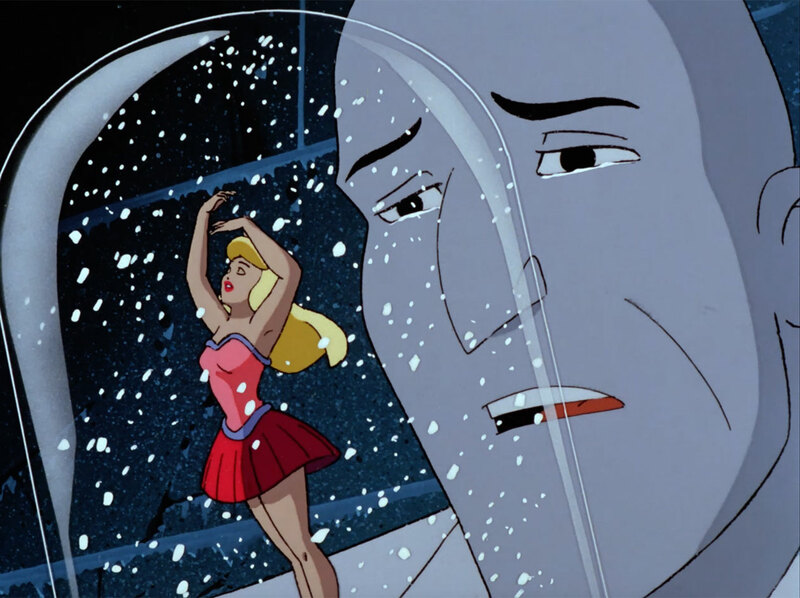 Writer Paul Dini overhauled his original Silver Age origin for Batman: The Animated Series, shifting the disparate pieces around to form Dr. Victor Fries (voiced by Michael Ansara), who debuted in the Emmy Award-winning first season episode "Heart of Ice" (watch "Heart of Ice" here). Victor was a cryogenicist married to a woman named Nora who, tragically, came down with a rare and terminal disease. Desperate to save the love of his life, Victor cryogenically froze Nora by developing an experimental "freeze ray" that would keep her body in suspended animation until a cure could be developed. Tragedy struck again when Victor's boss tampered with his machinery, resulting in an explosion which both killed Nora and doused Victor in his own chemicals. 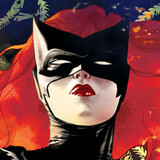 That same year, the comics officially adopted Victor's animated origin into DC continuity, in much the same way that fan favorites like Harley Quinn made the jump from screen to print -- in the Batman: Mr. Freeze one-shot written by Paul Dini and penciled by Mark Buckingham. 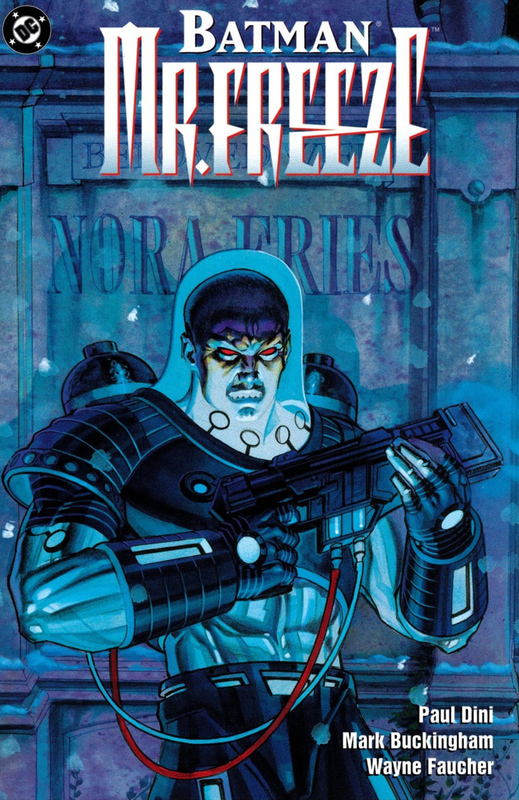 The new comics incarnation of Freeze typically worked on his own, rather than with henchmen. The loss of his wife was never far from his mind, and his stories emphasized the tragedy behind his schemes. Yet despite Nora's death, Victor never fully stopped trying to discover "solutions" for his wife's condition, even going as far as to attempt to use Ra's al Ghul's Lazarus Pit chemicals to revive her corpse. Unsurprisingly, this action only came back to haunt him all the more. From that point on, Victor's story took many of the same turns, including the accident which restrained him to his specially designed cryo-suit. Though his dangerous obsession with Nora's preserved body exchanged his previous origin's haunted romance for a more bone-chilling vibe. Regardless of the circumstances, however, Mr. Freeze has proven time and again that revenge is indeed a dish best served cold. Are you a Mr. Freeze fan? Let us know in our Community!